Human emotion is a crazy thing, especially when it’s bottled up for a long time. In such cases, it can act as a driving factor that causes people to do irrational, silly and sometimes, spiteful things. Throughout history, we have seen people come up with innovative ways to get revenge on their friends or family members. But, have you ever seen someone erect an entire house right in front of their enemies? A spite house is exactly that. Spite houses are buildings that were built or altered for the sole purpose of exacting revenge. Depending on the size and design of the house, one had to be really angry in order to dedicate such a considerable amount of money and time in the name of anger. 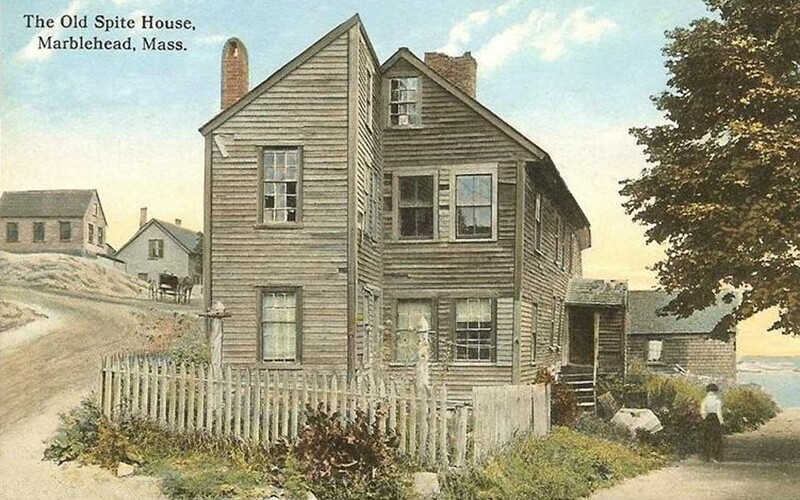 Here are 12 of the most famous spite houses throughout history. The little blue Hollensbury House in Alexandria, Virginia, is one of the most famous; mostly because of the story behind it. In 1830, John Hollensbury of Alexandria, Va., was tired of all the horse and foot traffic using the alleyway next to his house. The horse carriages were also brushing up against one of the walls of his house and ruining it. So, to prevent people from using the alley, and to stop the horses from ruining his house, John Hollensbury built the 7-foot-wide, two-story property, blocking it completely. The deep gouges in the brick wall from the wheels of carriages brushing up against it are still visible today. 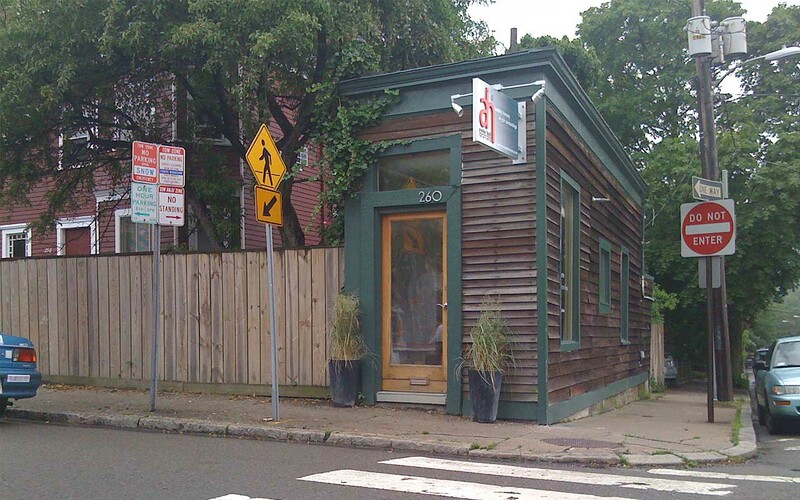 The Skinny House in Boston is pretty well-known, at least in the area. 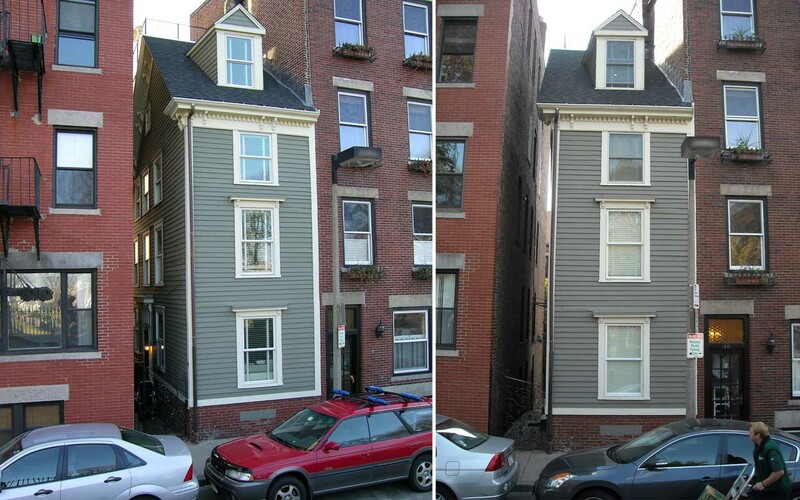 This four-story, 964-square-foot building at 44 Hull Street is the skinniest house in Boston. The property gets narrower from front to back, with a width that varies slightly between about 9 and 10 feet. What’s different about this spite house is the fact that the floors separate the rooms rather than doors or walls. According to local legends, in 1874, a couple of brothers jointly inherited the land from their father. When one of the brothers, a Civil War soldier, returned from duty, he found that his brothers had taken advantage of his absence and built houses on the land he had inherited. Out of spite, he built a small house on what was left of the land they both owned, blocking the views of the greedy brothers. 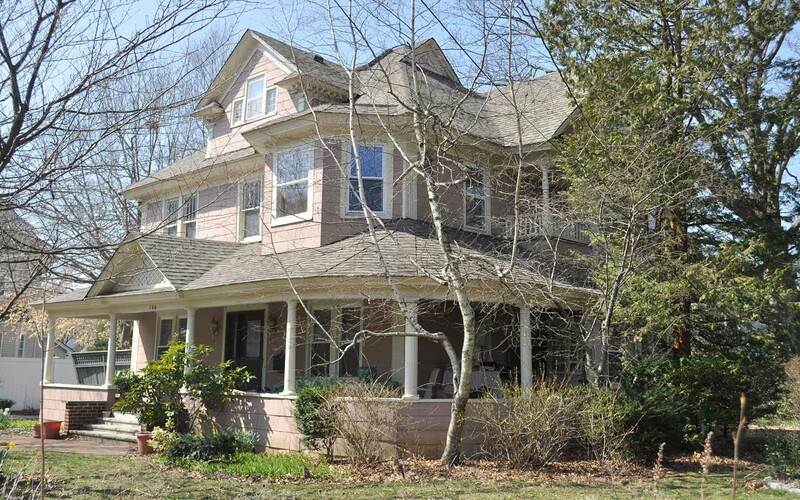 Today, the house is available for rent at $325 per night. 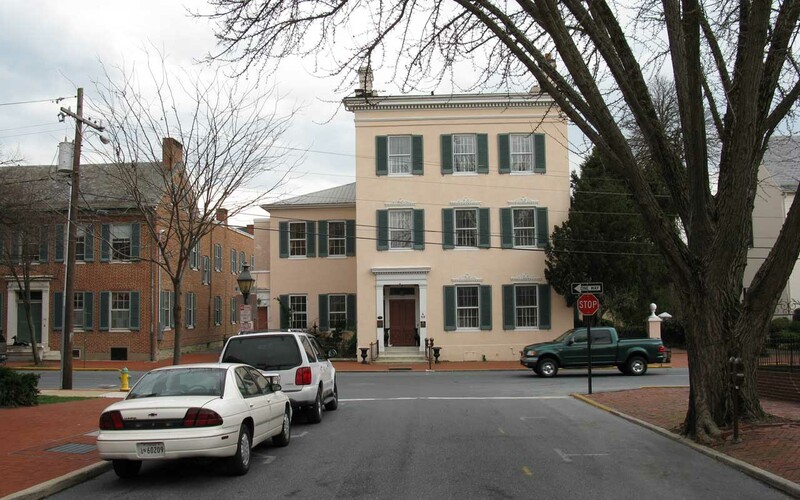 In Frederick, Maryland, you’ll find a handsome 1814 home, that was built not to irritate a single neighbor but the entire town government. During the 1800’s, renowned ophthalmologist and landowner Dr. John Tyler, learned of the town’s plan to build a road right through one of the lands he owned. Dr. John Tyler, who was a smart man, found a loophole in the local law which stated that roads could not be built on land where a building either already existed or was in the process of being built. So, the exact same night he learned of the city’s plan, Tyler commenced work on a road-halting new residence. The Los Angeles Times writes: “When the road crews arrived in the morning, they found a hole in the ground where their road was supposed to go and workmen were building a foundation. Sitting in a chair overlooking the work was the spiteful, self-satisfied Dr. John Tyler”. Of course, the Dr. never lived in the house since it was only built to irritate the town, but it was later converted into a B&B and today, it is used as a commercial office space. 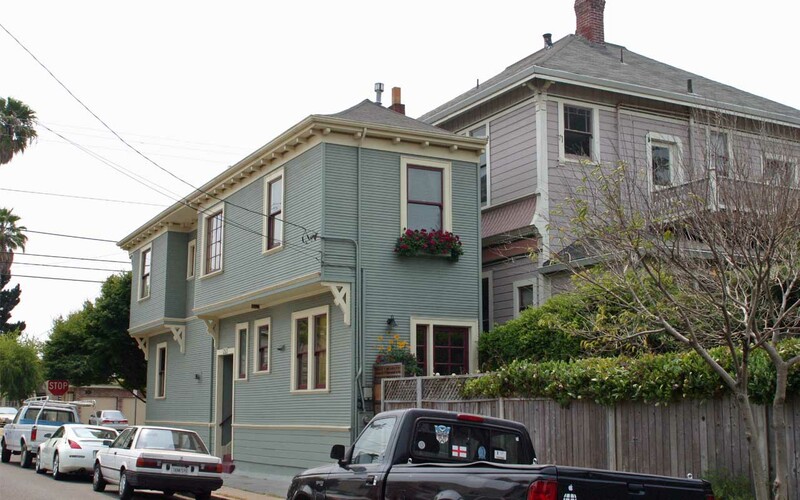 The Alameda spite house in the San Francisco Bay Area was intended to spite the city officials and a neighbor. The growing city of Alameda had taken control of Mr. Charles Froling’s land, which is where he had plans to build his dream home some day. The decision was also made since one of his neighbors who spited him, gave up some of their land, just so that Froling would have no choice in the matter. When the city took over his land and built a road on top of it, there was only a small piece of his dream left. Froling decided that he would turn whatever was left of his dream home into an architectural nightmare for the city and his neighbor. Using what little land he had left, a spiteful Froling built his house anyway—20 ft. high, 54 ft. long and 10 ft. wide. The 10-foot-wide home on Crist Street supposedly has the word “spite” embedded on the front stoop. Francis O’Reilly owned a piece of land in West Cambridge, Massachusetts in 1908. The land wasn’t big enough to build a house, but was large enough to construct a garage or storage space. So, Mr. O’Reilly approached his neighbor with good intentions and asked him if he wanted to purchase the piece of land so he could extend it to his property line. Even though it was a negotiable deal, the neighbor turned down the offer in a rude way. O’Reilly wasn’t pleased with the way he responded, so he decided to spite him forever. A 308-square-foot building, measuring 37 feet in length and only 8 feet in breadth, was constructed with the sole purpose of spiting the neighbor. The O’Reilly Spite House is still standing tall and has been occupied by an interior decorating firm as of mid-2009. 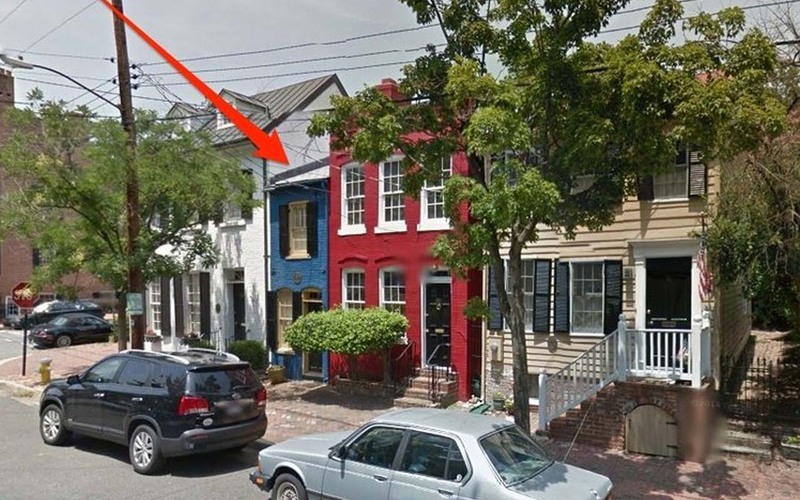 The McCobb Spite House stems from a family rivalry. 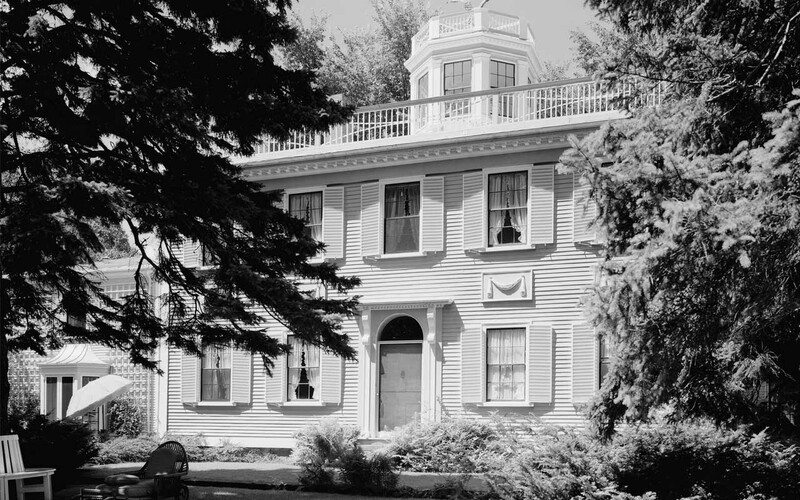 As the story goes, in 1806, Thomas McCobb was returning from a business trip when he discovered that his mother was trying to deprive him of his inheritance, by giving the family mansion to his step brother. In order to overshadow her home, and prove that he can succeed on his own, McCobb constructed a mansion directly opposite to his family mansion. In 1925, the McCobb Spite House was moved by barge from Phippsburg to Deadman’s Point in Rockport, Maine; where it still stands. During the 19th century, city designers in Freeport, NY were laying out grid patterns for houses and one particular designer was against this idea. John Randall decided that it was time to fight against the city by building a Victorian house, apparently overnight, to spite the grid designers. It still stands today. In 1925, an unwitting neighbor decided to strike a deal with his neighbor by lowballing the price for a piece of land. 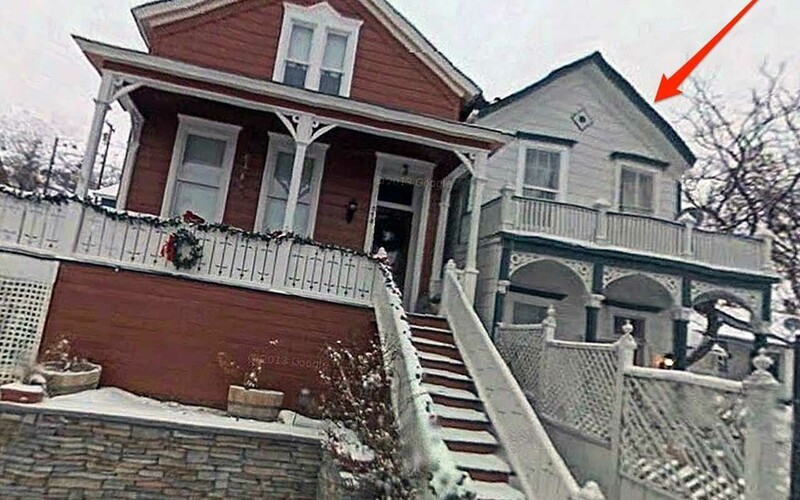 Insulted by the low price, and his courage to even make such an offer, the man erected a 4.5-foot-wide spite house to block the neighbor’s house from the main street. 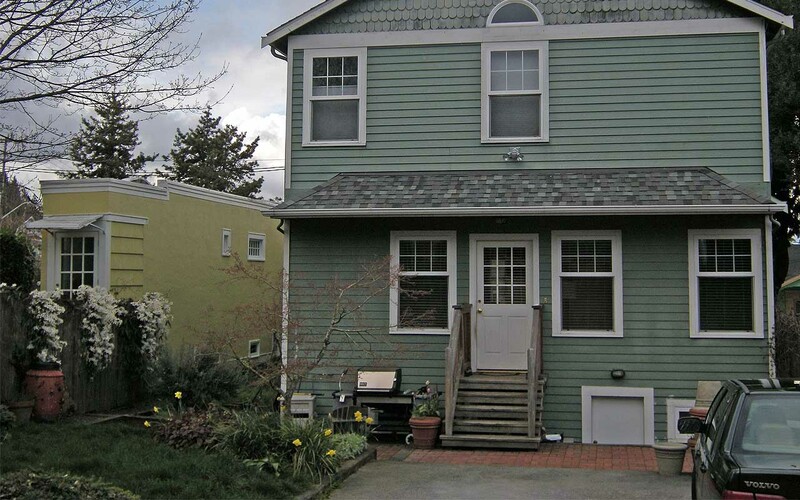 The 55 inches wide house later became the Montlake Spite House and was recently sold for $397,500. 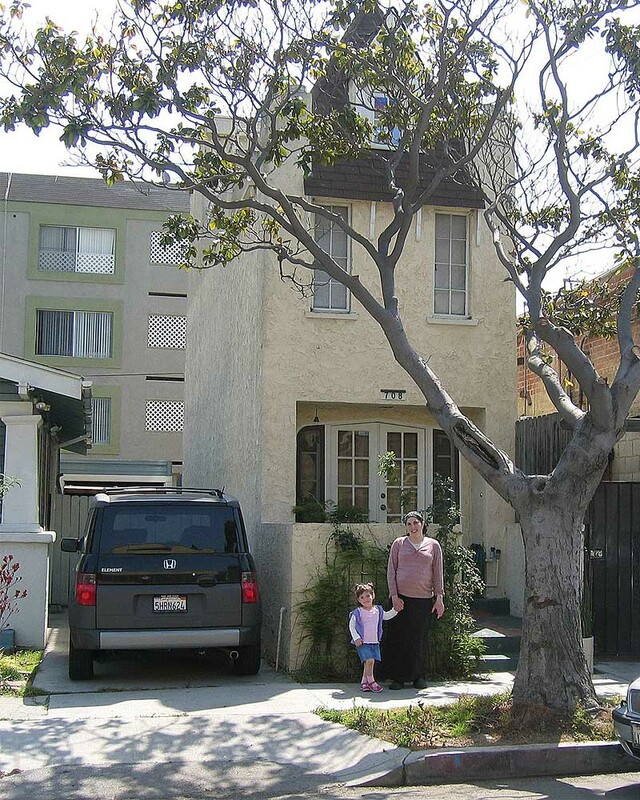 Once featured in “Ripley’s Believe It or Not” as “America’s Thinnest House”, the California spite house was built in 1932. Tucked in between a Mexican restaurant and a traditional home, a construction firm employee named Newton P. Rummonds received the piece of land to settle a $100 debt. Rummonds accepted the odd-sized lot, but his neighbors were unsure of how he could ever put it to good use. When they mocked him that it was worthless, he set out to prove them wrong by building 10-foot-wide home. The Tudor-style house ended up being a workman’s showcase. Technically not a house, the structure in Adamsville was built to block the line of sight of a town local. 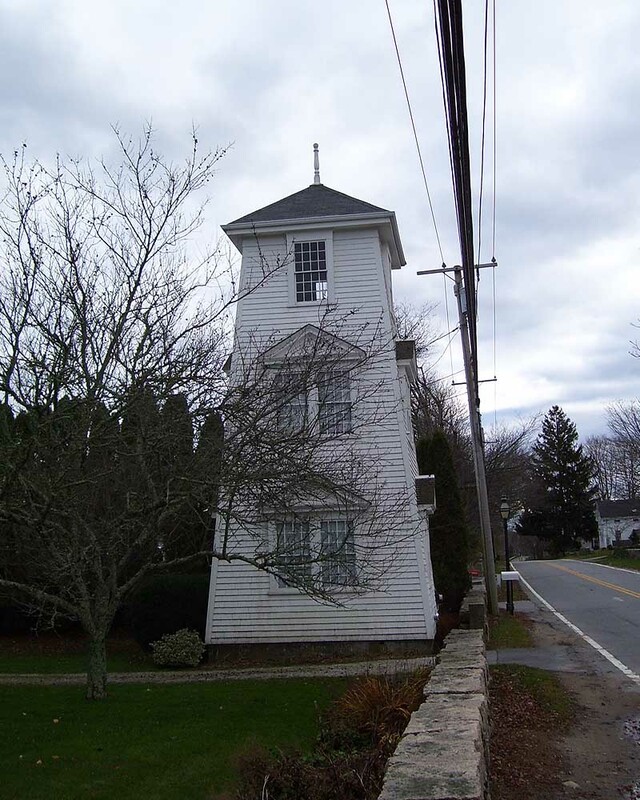 The tall tower, located between houses and across the street from a park, was supposedly built simply to irritate a neighbor by blocking his line of sight. It was constructed around 1905, and still stands. Feuding with your neighbor is a common thing that happens all over the world. It’s not unusual for neighbors to exchange words in a tense situation. But, have you seen someone build a house right next to their nosy neighbor, just to spite them? Well, the Nevada spite house in Virginia City, Nevada was constructed after two neighbors got into a fight. When the first neighbor bought a home, the second neighbor purchased the lot right next to it and built a home less than 12 inches away. The home sold in 2014 for $245,000. One of the oldest spite houses is located in Marblehead, Massachusetts, built by Thomas Wood in 1716. According to the local legend, Wood was given a tiny share of his father’s land, while his brother received the majority of the estate. An infuriated Wood decided to erect a 10-feet-wide spite house, so that his brother’s view was blocked. Despite the fact that it was built in the 18th century, the house still stands today and is occupied.